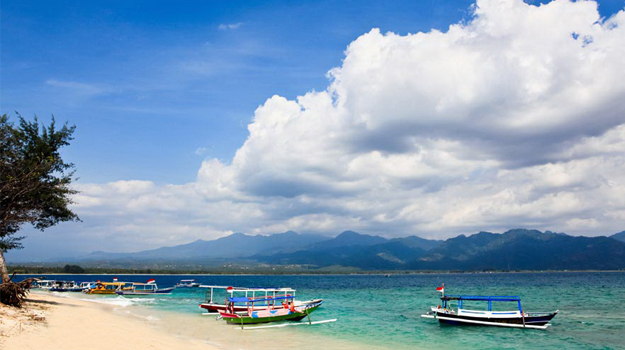 Teluk Kodek/ Teluk Nare is one of the transfer points connecting the sea lanes heading to Bali and Gili Island by using Fast boat transportation services. Teluk Nare located in the north of Senggigi about 30 minutes away. The beach is used for stopping point for most of the fast boat from Bali and small boats and fast boats from Gili island, especially Gili Trawangan. Every day there is a fast boat that operates directly go to Bali with a relatively quick time compared to using the ferry services at Lembar port in the west side of Lombok. For those of you who have plans to visit Lombok island before visiting Gili islands, then we suggest you to stay in Senggigi area, because it is located not far from the port of Senggigi, Teluk Nare and Bangsal. Teluk Kodek is more often used as a fast vessel ports, while Bangsal is a regular port often used by local residents. To ease your journey, along the way of Senggigi there are many Travel agents offer services that you can use to get the port and also fast boat tickets.